‘Carbon taxes’, ‘carbon trading’ and ‘cutting the carbon footprint’ are pretty well-known phrases by now but most companies are still missing opportunities to cut their emissions, environmental impact – and costs. Ruari McCallion looks further along the supply chain. When one thinks about the main producers of CO2, one’s thoughts naturally turn to manufacturers – after all, is it not they who will have to pay out the most under emissions control regulations? While that is probably true, the number of businesses that will escape completely is, in reality, very small. A T Kearney, the global management consultancy, recently produced the second annual Carbon Disclosure Project (CDP) Supply Chain Report. One of its key findings is that suppliers are now expected by some of their global customers to demonstrate greenhouse gas emissions management, awareness and action, in order to maintain business relationships. There are 44 supply chain member companies of the CDP (out of around 2,500 organisations that supply climate change data) and their size more than outweighs their numbers. The membership list includes BAE Systems; Cadbury; Colgate-Palmolive; Dell; GlaxoSmithKline; H J Heinz Co; Johnson & Johnson; Johnson Controls; PepsiCo; Procter & Gamble; Reckitt Benckiser; Sony Corporation; Unilever; and Vodafone Group – big names, from just about every commercial sector. Just under 40 (89%) of these companies have an established strategy to engage with suppliers on carbon related issues and nearly all of them have an emissions or energy reduction plan in place. Of more importance to the supply chain, including logistics suppliers and warehouse managers, may be the fact that more than half (56%) of these organisations have stated that they expect to deselect some suppliers in the future for failing to meet carbon management criteria set by the companies. Some have also indicated that future contracts will require improved carbon management. The writing on the wall is very clear: suppliers, both of goods and services, risk losing important customers if they don’t pay close attention to their carbon footprints. A major contribution to emissions is made by buildings, which is why there has been such a strong emphasis on heat effi ciency and insulation in the EU’s Energy Performance of Buildings Directive (EPBD). It stipulates minimum requirements for ventilation and heat loss, among other issues, and while it has raised some initial capital costs of buildings – and has implications on upgrading and change of use or tenant – it tends to make warehouses cheaper to run over the longer term. Some construction companies have gone a lot further than EPBD. In eureka! Issue 5, summer 2008, we had a look at how warehouses can be made much ‘greener’. Featured in that article was a company named Gazeley, which specialises in building ecofriendly warehouses. 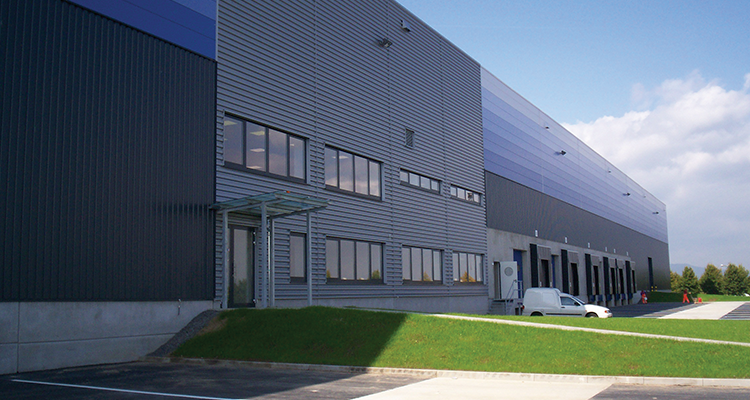 It has now developed over 6 million square metres of premium warehousing in an expanding number of countries. It began in the UK and has 25 locations there, from Strood in the south to Doncaster and Liverpool in the north. 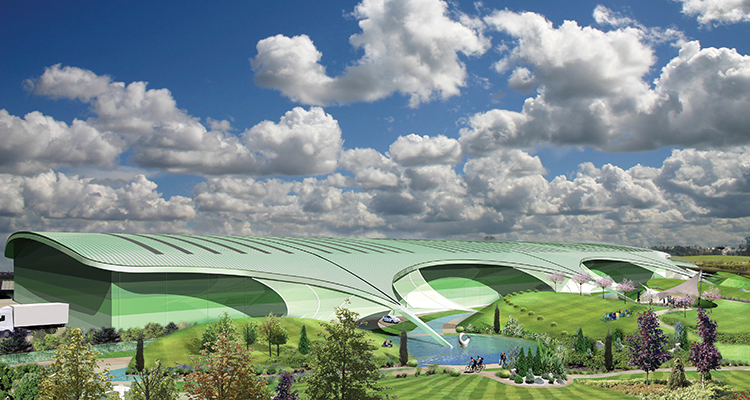 Its 180 Ha Magna Park Plaza site in Zaragoza, Spain, offers the Gazeley range of standard ‘eco’ features, which include storm water collection, to minimise water consumption; low-flush volume toilets; super airtight and insulated building envelope, to cut heating and air conditioning power needs; and solar thermal water pre-heating, among a long list. Spain has the advantage of a lot of sunshine, so enhanced solar pv (photovoltaic) panels are among the list of options. Gazeley’s standard eco features are claimed to deliver significant savings in operating costs in the standardpackage; its fit-out service can help to save even more. A warehouse project it undertook for John Lewis, one of the UK’s leading retailers, delivered over £240,000 (€285,000) of annual savings through extensive use of renewable energy – primarily wind and solar power – and is projected to reduce CO2 emissions by around 67 per cent, compared with standard buildings, over its 25-year life. A 45,000 sq m distribution centre it built saves 156 tonnes of CO2 a year, compared to standard constructions and services functions. €285,000 of annual savings through extensive use of renewable energy and 67% CO2 emissions reduction. “92% of the carbon impact of buildings is in their use through their lifetime, which we, as developers, cannot control,” said Jonathan Fenton-Jones, Global Procurement & Sustainability Director. “What we can do is design and construct the building in such a way that it will start life as effi cient as possible, with features like storm water recovery, outstandingly effective insulation, geo heat pumps and the capacity to accept solar power arrays included at outset.” The Gazeley template is in operation at 15 locations in France, eight in Germany, three in Italy and another in Belgium. However, it isn’t just power consumption that drives emissions; the organisation of the warehouse itself is important. While batterypowered lift trucks do not emit CO2 in operation, they have to be charged and the more effi cient they are, and the more effectively they are used, the less power they require – so the days of haphazard storage (or ‘random’, as some called it) are in the past. In a separate article in this edition, we look at site surveys and automation, and the contribution they can make. A useful tool for assessing the extent of the challenge facing warehouse managers has been produced by the UK’s Carbon Trust. Named the Footprint Expert, it is available online and can be used to compare performance across a growing database. It is designed to provide help and information from rapid assessments (‘hotspots’) through auditable data trails to comprehensive, certifi ed footprints, suitable for external communications. It can be accessed at www.footprintexpert.com. However, while individual companies can have an impact on emissions, the effect will be increased by collaboration – or such is the argument from pallet pool operator LCR, which is working with FMCG (fast-moving consumer goods) clients to collaborate in their supply chains and reduce the number of trips their trucks undertake. Rather than travel back and forth with small loads, LPR frees up capacity by collecting up to full loads of pallets from regional distribution centres and returning them to FMCG manufacturers. Logistics company DHL Supply Chain is taking the idea a step further by establishing a collaborative platform in its automotive operations. Its project began with an inbound UK freight facility for Jaguar Land Rover’s Solihull, England, site. It dealt with a mixture of FTLs (full truck loads) or LTL (less than truck loads) and developed to include parts management for BMW’s just-in-time requirements and Jaguar’s aftermarket network. At the core of the operation of the collaborative platform is the large cross dock facility at Solihull, which is supported by a fl eet of around 350 vehicles and 400 trailers. These are at the disposal of DHL’s central planning team, which acts as a 4PL, pulling in additional, external resources as and when required. While certain elements of the platform are dedicated to OEMs, such as engine manufacturer Perkins, there is a sizeable part of the operation that is set up to handle variables. Currently, the platform handles spare parts – one for JLR (Jaguar Land-Rover) inbound (UK and EU business), another for common vendors such a Visteon. The set-up is also the UK freight consolidation centre for Ford and BMW’s collection service, which helps to put otherwise redundant JLR real estate to use. DHL currently undertakes over 1,000 collections per week via the collaborative platform. In addition, DHL handles 2,000 collections for Jaguar Land Rover in the UK and 1,200 from the inbound EU collection service. 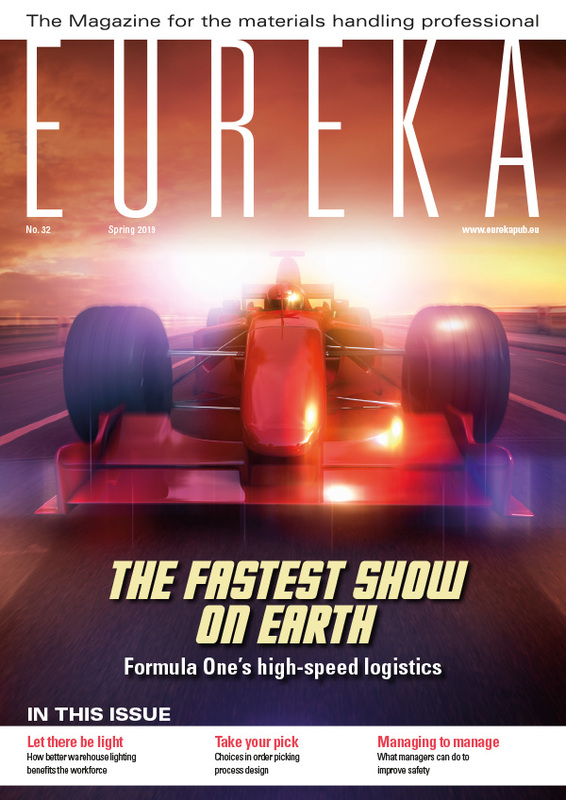 Deliveries from BMW, various just in time customers, Perkins, Dana and other suppliers, take the total fi gure up to approximately 5,000 collections per week. 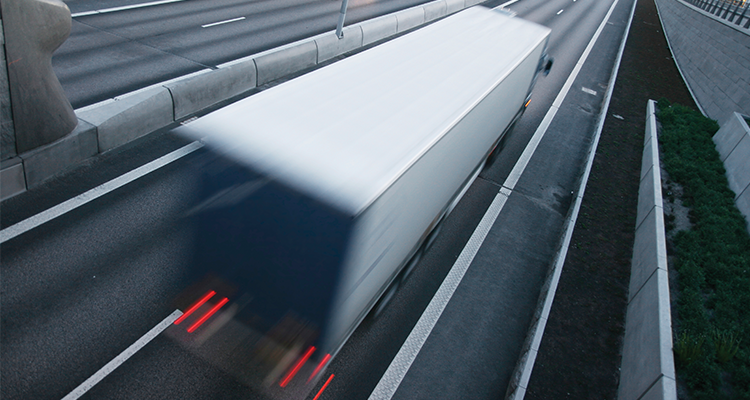 Sharing a proven, established platform reduces vehicles movements, which helps with overall supply chain efficiencies. Reduced movements mean reduced costs as well as improved environmental credentials. 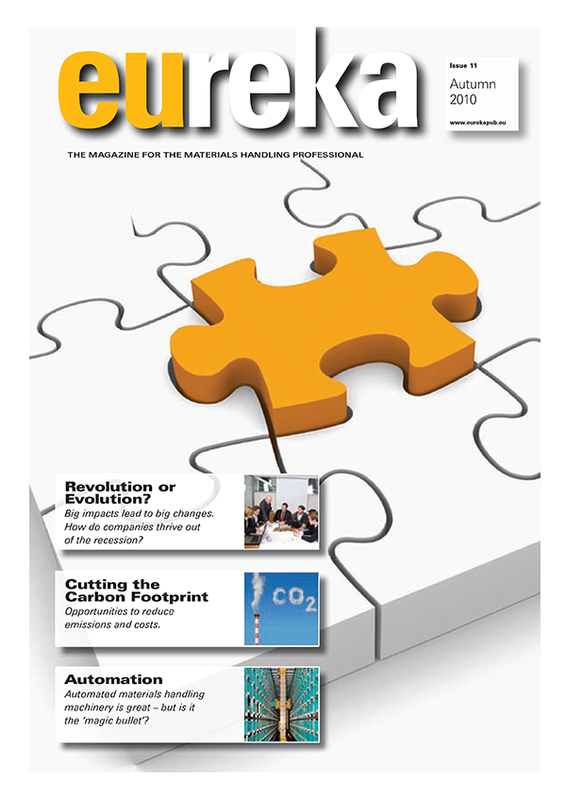 DHL tracks its carbon footprint and believes the adoption of the collaborative platform for inbound parts has resulted in a year on year carbon reduction of 2.5per cent. “Empty running is one of the industry’s dirty secrets, with well over 60 per cent of the UK’s HGVs still transporting fresh air,” said Bob Naylor, VP of DHL‘s UK Automotive Freight business. “This kind of initiative is one way we can continue to reduce that statistic.” Since its adoption by several tier one and tier two suppliers in recent months, confirmed supply chain cost reductions of approximately 10 per cent have been achieved. DHL also focuses efforts on compliance, keeping photographic records of deliveries to identify boxes that cannot be stacked so that instances of poor packaging can be rectified. It visits customers in order to discuss how to optimise schedules and reduce truck movements. But perhaps its most significant achievement is to have created the platform that facilitated collaboration between competitors in the first place. 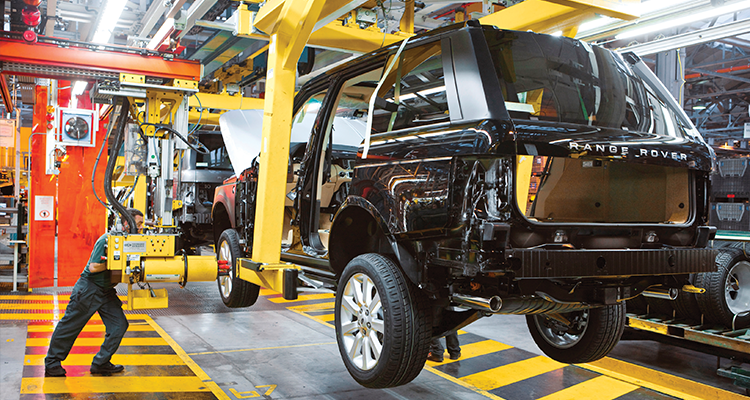 DHL has collaborated with Jaguar Land-Rover to improve the effectiveness of the supply chain. There is no single answer to the legislative and market challenges to reduce emissions, especially CO2. As discussed, the options will include building construction, layout, operations management and other aspects. However, as the A T Kearney Carbon Disclosure Project Supply Chain Report makes clear, pressure from customers to improve performance will continue to grow as well.